Even the graduates of fairly rigorous American high schools tend not to know the name Huey Long these days, but he was one of the most notorious and controversial politicians in the United States in the 1930s. While many of his anti-wealth policies may appeal to progressive populists in these days of runaway prosperity for the few and precariousness or worse for the many, at the time Long was assasinated, on this date in 1935, he was on the verge of launching a presidential bid backed by some of the most reactionary elements in American life, including the fascist preacher Charles Coughlin. The Nation, though no partisan of the wealthy, saw clearly the threat the Long posed to the basic tenets of democatic life, and when he was killed, The Nation all but cheered it as a development for the good. While the magazine admired some of his accomplishments, it regretted that he had only been stopped by an assassin’s bullet. The assassination of Senator Huey Long will immediately arouse sympathy for his memory that could not be felt for him while he lived. Political murder is a vile crime, and we share the regret and shame felt by the country that he was defeated by a bullet and not in an open political contest. We also give him the credit he earned for pushing through reforms in Louisiana, simplifying an antiquated state machinery, redistributing the burden of taxation, and stimulating the interest in education. Nor shall we question that his championship of the poor was as sincere as anything in his equipment of distorted passions. Giving him every advantage of sympathetic consideration does not however raise him to the status of martyr. 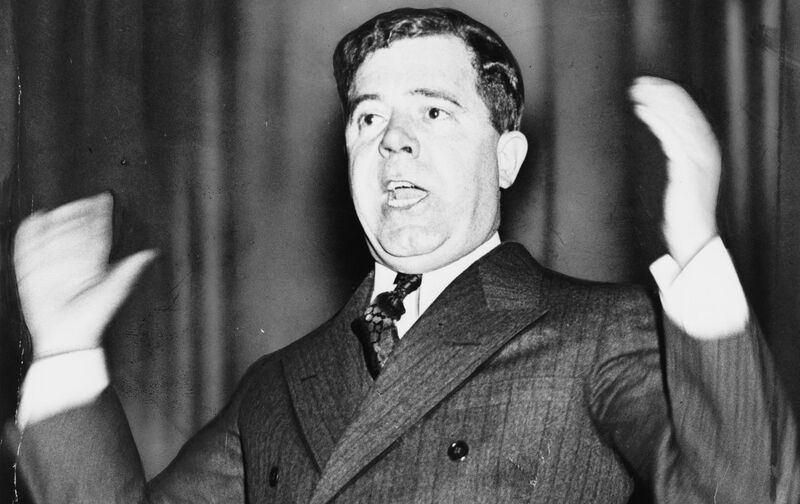 Huey Long was America’s first dictator. His was a little dictatorship in domain, but it was grim and vengeful in spirit, and it was a sensational challenge to democracy. Having set up a regime of fear he had to live in it, and went about his home state, and even his country, closely guarded to avert the disaster which now has overtaken him.…. His murder appears to have been a deliberately political act, one of the very few in its category in American experience. Thus we have had a laboratory demonstration of a dictatorship—of its good intentions, of its immoral practices, and now of its violent ending.